Looking to eat local? Fortunately, Arizona is home to a variety of restaurants serving up meals that taste like they came straight out of your childhood kitchen. 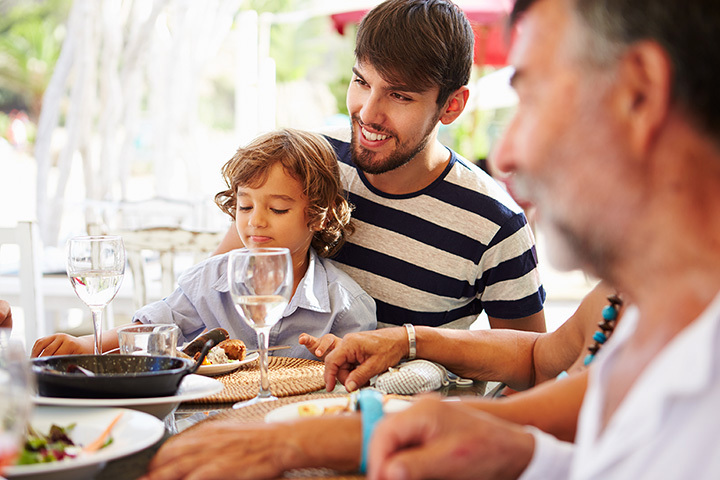 Supporting local, mom and pop-style restaurants is a great way to boost your community. Here are the 10 best mom and pop restaurants in the state. Locals were devastated when Espo’s Mexican Food closed in 2014. The long running mom and pop was an East Valley staple for more than 40 years. Fortunately, the closure didn’t last long. Espo’s reopened for business in early 2015 and has been satisfying Mexican food cravings ever since. Espo’s is like something you’d find on a street corner in Mexico. It’s a no-frills establishment with authentic burritos, tacos, flautas, and enchiladas. Espo’s has great Mexican food, great prices, and a friendly neighborhood vibe. What more could you want? Tucson residents can get their diner fix by taking a trip to Frank’s. It’s a no-frills diner that seems like an ode to the past. It has a loud busy kitchen, cozy tables, and endless streams of flowing coffee. Frank’s also has one of the best farm breakfast deals around. You can get two eggs, hash browns or home fries, a biscuit, slice of toast, or a tortilla for $2.25. Flagstaff residents don’t have to grab fast food for a quick convenient lunch. Jitters Lunchbox provides quick and healthy breakfasts and lunches to the Flagstaff community. Reggie and Sharlene Fouser opened Jitters in 1996. They offer cold and hot sandwiches, paninis, fresh salads and homemade soups at an affordable price. Located on historic Route 66, Jitters is a favorite for their location, service, and tasty fare. Don’t forget to snag a homemade cookie or pastry on the way out. There are many words you can use to describe Bill’s Grill—delicious, affordable, and local. Maybe the best word to describe Bill’s is unique. That’s because the owner Bill got his culinary training in both Thailand and Mexico. This training shines through in a menu that features everything from signature burgers to a seafood po boy sandwich. Bill’s also uses fine ingredients including locally raised beef, home baked buns, fresh roasted poblano chilies, fresh grilled vegetables, and more. Have you been on an Arizona road trip? If so, you’ve probably seen Rock Springs Café. It’s in the small town of Black Canyon City on many people’s routes to northern Arizona. Rock Springs is more than your typical pit stop restaurant. They dish up some of the best comfort food in the state. You can feast on fresh buttermilk pancakes or an All-American breakfast in the morning, signature burgers for lunch, and chicken pot pie for dinner. Rock Springs is also known for their otherworldly collection of homemade pies. Morning Star Café is a true hole in the wall restaurant. It’s tucked away in the middle of a busy Tempe corner. It might not look like much from the outside, but looks can be deceiving. Morning Star serves up fresh breakfast every morning at 6 a.m. They also have a renowned bakery, sandwiches, and homemade soups and salads. This family run restaurant is a local favorite for serving fresh and tasty food in a casual environment. Anzio’s seems like a restaurant you might find in an Italian villa. It has red brick walls, small intimate tables, European artwork, and enticing aromas. Anzio’s is a Phoenix mom and pop run by the Mollohan family. It’s been a go to Italian restaurant for Phoenicians for over 30 years. They’re known for serving up authentic Italian food at affordable prices. You won’t want to miss their famous lobster ravioli. Payson may be a small town, but it’s home to some big appetites. Thankfully, it’s also home to one of the best Italian restaurants in the state—Gerardo’s Firewood Café. It’s been a Payson staple since 2000 and serves up a range of authentic Italian dishes. It’s the brainchild of Gerardo Moceri, who opened the restaurant in an effort to showcase his Italian roots. Think of any Italian dish and you’ll find it at Gerardo’s. Baked ziti, eggplant Parmesan, brick oven pizza, and homemade lasagna are just a few favorites at this excellent mom and pop. There aren’t many mom and pop restaurants in Ahwatukee. This Phoenix suburb is home to myriad chain restaurants and fast food options. Ezekiel’s is a breath of fresh air for Ahwatukee residents. It’s been a soul food staple for more than 30 years. They carry traditional soul food like fried chicken and barbecue ribs, but also seafood surprises like crab cakes and butterfly shrimp. Dine-in, carry out, or grab a spot on the patio for a taste of Ezekiel’s. Lindy’s on 4th is more than your typical burger joint. They’re a purveyor of some of the most insane burger creations known to man. You can chow down on favorites like the mac and cheese burger, the super sunrise, and the thunder bacon cheesesteak. Really, though, Lindy’s is all about the OMFG. It’s a behemoth of a burger with six patties, three pounds of beer, and one pound of cheese. Located on Tucson’s trendy 4th avenue, it’s a must-visit restaurant for any Arizona foodie.